Often for landlords, just the thought of switching property management companies, is an enormous headache. Making the time to do the research and applying the energy required to search around and screen agencies, feels like too much work. It’s no wonder many unhappy landlords put it off and continue suffering the consequences. 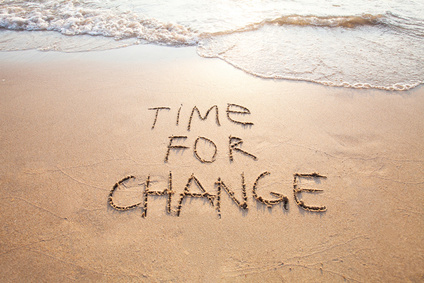 The good news is, changing property management companies doesn’t have to be hard at all! What many landlords don’t realize is, switching property management companies can be as simple as giving notice. For instance, here at Legends Realty, whenever an owner wishes to transfer their portfolio to our care, we assist in the changeover from start to finish - all they have to do is sign some paperwork. They don’t even have to step into our office! You contact your current agency, inform them of your decision and request the required paper work to be sent to our office. We notify your tenants in writing. Then, our office welcomes them personally via phone and walks them through a Legends Realty orientation. Legends Realty becomes your new management agency (as of the agreed date) and life carries on as normal. We arrange a property review to update the existing condition report (if required) and keep you informed each step of the way. If you’ve decided you’re ready to make the move and appoint a new property manager, there’s a few things we recommended you do beforehand, to ensure your switch goes forward without a hitch. Check the termination clause of your management contract. Most management contracts require between 30 to 90 days-notice to terminate a contract. If you don’t give the required notice, you risk breaching your contract and may be exposed to penalties and could find yourself in a lawsuit. Notification to terminate a management agreement must be in writing. If arranging the termination yourself, we recommend sending the notice via certified mail with return receipt requested. That way you have it on record it was sent and received. It’s important that your tenants are properly informed of the change in management well in advance. They should be informed in writing by the landlord or the current property manager told who will manage them and their rental deposits, from this stage forward. It’s also a nice gesture for the new management company to welcome them personally, so they feel acknowledged and confident they’ll be taken care of. The transfer of all funds from one trust account to another can take some time. Depending on your accounts current status, expect it to take one to two months to receive all landlord funds due to you. This is to ensure the existing agency has paid all prior invoices before transferring the balance. Tenant rental deposits however, should be set up to be deposited into the new management account on the transfer date. Always ensure you receive copies of all leases, records of security deposits and a statement of all income and expenses from your former agency. These documents should be sent to you immediately upon termination of the contract and kept in your records. Would you like some guidance and support to help in hiring a professional property management company? Then speak to one of our business developers who would be happy to help with all your Orlando real estate needs.